Do you find yourself rushing home from work in your lunch hour, getting stuck in traffic to let your dog out for a 10 minute toilet break, while you rush your dinner down to rush back to work stressed? VIPPIES can take the stress out of your lunch break by calling in and giving your canine companion time, love and a one to one walk or a garden visit with a game of ball or frisbee. You can return home to a happy waggy tail and enjoy your lunch with colleagues or friends. Are you struggling to give your dog the walk they need due to ill health? VIPPIES can come once, twice or as many times as you want to give your canine companion a good walk taking the pressure off you and helping you to recover. VIPPIES offer a reliable friendly one to one Dog Walking Service, regular or adhoc walking undertaken and emergency call out service available where we are key holders. 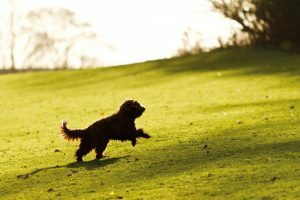 We’re a long establish business with dog walkers and carers across Lincoln, Branston, Washingborough, Heighington, Canwick, Metheringham and the surrounding areas. Contact us on 01522 823536 to find out more or book. Dogs are walked on a one to one basis unless otherwise agreed. We agree a 2 hour window for each visit to your dog. For puppies we can offer garden visits until their inoculations are completed. Click here to view more information on bank holiday pricing and other additional information.